President Barack Obama has welcomed an agreement on the Syrian chemical weapons reached during the US-Russian talks in Geneva, but warned that America will remain prepared to act if diplomatic efforts fail. The statement comes hours after US Secretary of State John Kerry and Russian Foreign Minister Sergey Lavrov wrapped up their three-day talks in Geneva, where they reached a deal on handling the Syrian chemical arms arsenal. The goal is the destruction or removal Syrian chemical weapons by mid-2014. Damascus has also been given one week to submit a comprehensive list of such weapons. Obama underlined that the international community expected the Syrian President Bashar Assad’s regime to live up to its public commitments. He added that Washington will continue working with the UN, Russia, France, the UK and other international players to “ensure that this process is verifiable” and that there will be consequences should the Syrian regime not comply with the framework agreed on Saturday in Geneva. 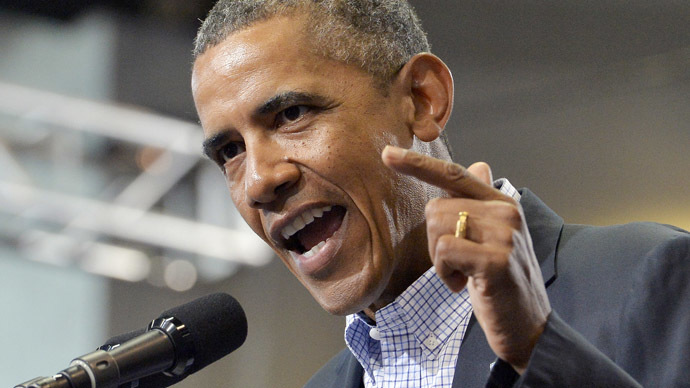 “And, if diplomacy fails, the United States remains prepared to act,” Obama stated. Yet again, the US president blamed the Syrian government for the chemical weapons use on August 21 in a Damascus suburb. 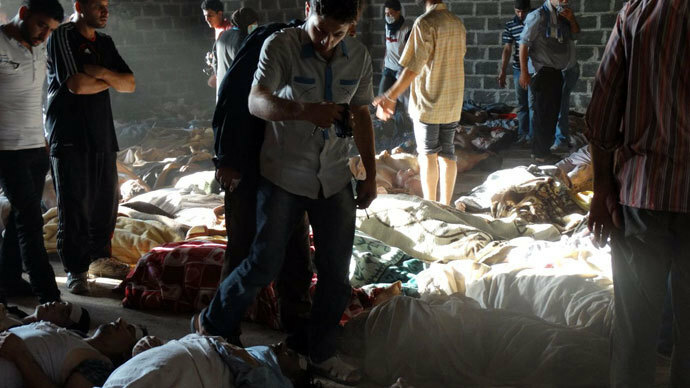 While it is not contested that chemical weapons were used, the international community is at odds as to who was behind incident – the Assad government or rebel groups. Both sides have blamed each other. Russia believes that the chemical attack in Ghouta near Damascus was fabricated, Lavrov said on Saturday in an interview with Rossiya 1 TV channel. “At this point there is plenty of evidence made by independent experts, including on-site, in particular provided by a nun from the nearby convent, there are other witnesses, Western correspondents have been there. 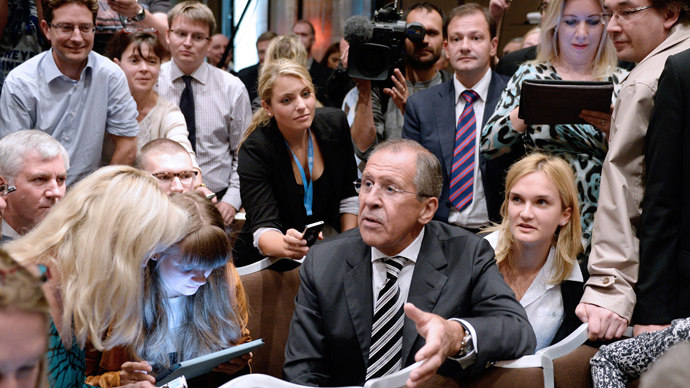 Besides, experts in Europe and the US, including twelve retired employees of the Pentagon and the CIA, as you know sent, an open letter to President Obama, explaining how it was all fabricated,” explained Lavrov. The US claims though that it has evidence proving that the regime ordered the use of the weapons of mass destruction, but have so far failed to make any such facts public. Following the attack, Obama was pushing for Congress authorization for a “limited” military strike in response to the August incident. The decision was put on hold though after Russia proposed that Damascus should place its chemical arms under international control and join the international treaty prohibiting the production, stockpiling and the use of such weapons. 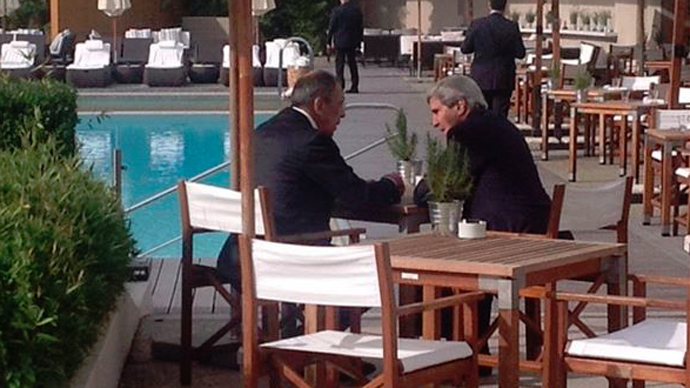 The Syrian government accepted the proposal, which was then discussed in detail by Kerry and Lavrov in Geneva. “In part because of the credible threat of US military force, we now have the opportunity to achieve our objectives through diplomacy,” Obama said in a statement Saturday. In conclusion, the American president pointed out that the use of “chemical weapons anywhere in the world is an affront to human dignity and a threat to the security of people everywhere.” He went on to say that “we have a duty” to preserve a world free from the fear of chemical weapons for our children” and today marks an important step towards achieving this goal. On Thursday, Syria submitted documents to the UN required for the legal accession to the Chemical Weapons Convention. 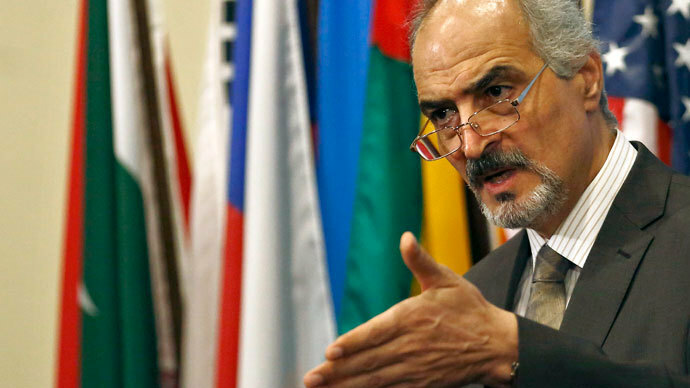 “Legally speaking Syria has become, starting today, a full member of the convention,” Syrian UN Ambassador Bashar Jaafari told reporters in New York. He also said that Assad had signed a legislative decree approving Syria’s accession to the convention and that the country’s Foreign Minister Walid Moualem had written to the Organization for the Prohibition of Chemical Weapons to notify it of Damascus’ decision, which is enough to legally join the treaty. 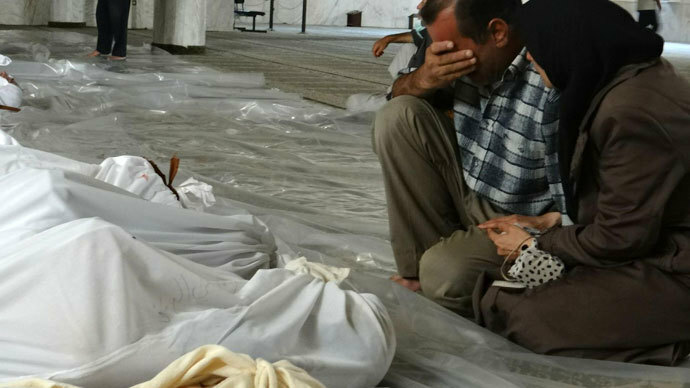 The UN confirmed on Saturday receiving the documents that Syria submitted for joining the Chemical Weapons Convention. “The Convention will enter into force for the Syrian Arab Republic on the 30th day following the date of deposit of this instrument of accession, namely on 14 October 2013,” the UN press office said in a statement, Reuters cites.